The single most important thing about camp, the thing that makes us who we are, has always been the people. Our campers, staff, administrative leaders and alumni have always shown a love and dedication for Forest Lake Camp that can’t be measured. 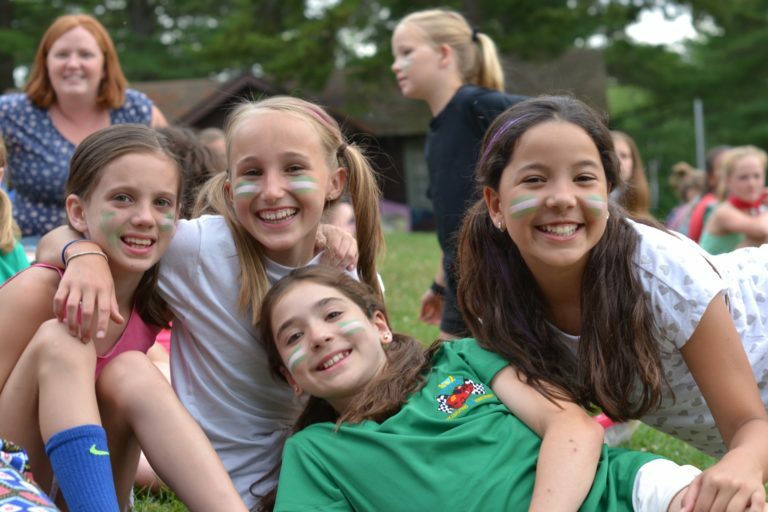 Many of our campers and staff have spent their summers at camp becoming immersed in our traditions and helping to instill the Spirit of FLC in the new campers that join our family each year. One of the ways we recognize those that have shown their love for FLC is by the number of years they have spent at camp. Every summer at the opening campfire of each session, all are asked to stand and remain standing until the number of their years at camp has been called out. When you hear 5, 6 all the way to 10 and 26 years called and there are people still standing, it fills the hearts of veterans with pride and newcomers with a sense of admiration. To further recognize those that have dedicated so much of their time and spirit to Forest Lake, we would like to show our appreciation by giving commemorative gifts to mark 5, 10, 15, 20, 25 and 50 years. We hope this recognition will show how much pride FLCers have in their history at camp. This recognition will be given to current campers and staff and will begin this summer at camp.